Often strings of texts need to be in slug form to describe what the content of a URL is. A Vue.js component is available which provides easy conversion of texts to slugs. Using this component along with your v-models you can transform anything written into a slug. 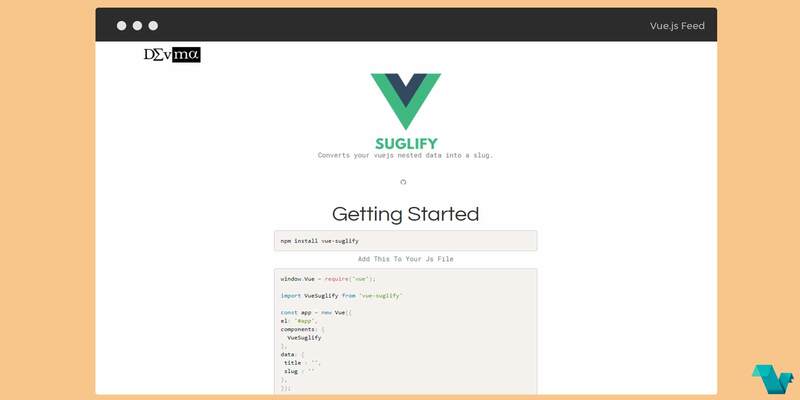 To start working with the Slugify component use the following command to install it. You can also pass an object named extras where you replace a letter with something of your own. Below are 2 examples, one using the extras attr for creating a slug using only one letter, and the sep attr which separates words accordingly. If you are interested for more or you have any bugs and suggestions, click here. That's it!